Yay, finally back to normal!! I don’t know about everyone else, but I have been having such a hard time getting anything done with hubby and kids home over the Christmas break. My husband is like having a 4th kid. Between all four I am constantly having to entertain and get them out of the house, but yesterday was my kids first day back to school so now I feel like I can actually get stuff accomplished (including my list of recipes I’m dying to try). Thanks to everyone that voted on “What Dessert I Should Make Next?” The Salted-Caramel Six-Layer Chocolate Cake won. So I made it on Sunday, since it is a lot of cake and I know my hubbies family is always more then willing to try my goodies. First the first time I actually had people moaning while eating. I felt so proud!! LoL! That is probably the best complement you can give a cook is moaning while eating their food (sorry if that sounds weird, but it’s so true!!). So I will be posting that recipe on Thursday. The Homemade Samoas Cookies came in a very close second though, so I might just have to make that recipe this week too. But for now, enough with the goodies and onto something super savior delicious!! I grew up eating more country/southern styled meals, so this recipe was so homey and comforting to me. I love Love love cornbread!! So anything that gives it a twist of flavor, while still staying true to it’s initial taste is a winner in my book. 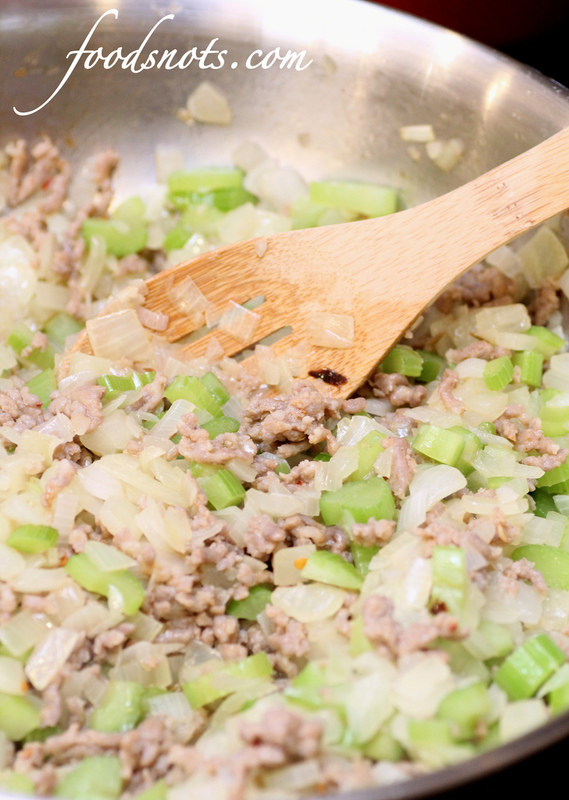 With this recipe you still get the cornbread flavor, while getting an awesome balance of the sweetened onions, celery, and sausage. Seriously, such an amazing side for any country meal!! A complete must try recipe!! Enjoy! Preheat oven to 350 degrees F. Lightly grease a 13- x 9-inch baking dish. Soak cornbread and sandwich bread in chicken broth in a large bowl 10 minutes; stir until liquid is absorbed. 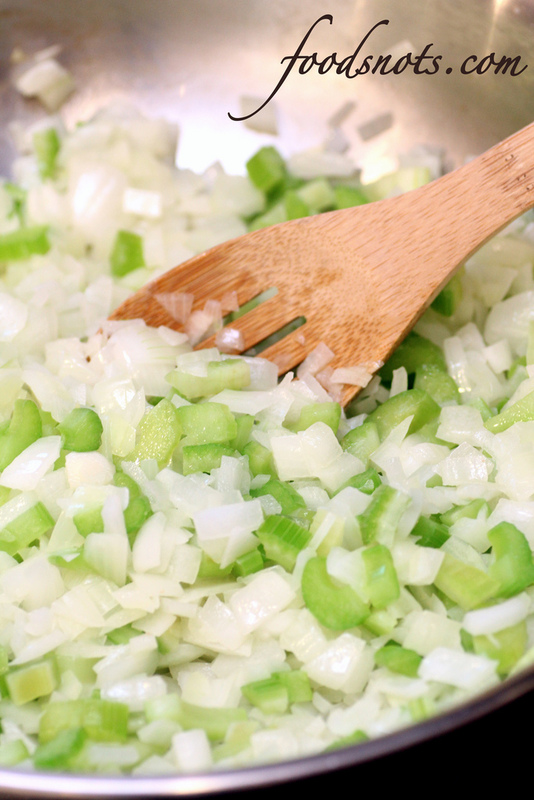 Melt butter in a large skillet over medium heat; add onions and celery, and saute 10-12 minutes or until tender. Add sausage, and cook, stirring often, over low heat 8 minutes or until sausage crumbles and is no longer pink; drain. Add sausage mixture, eggs, and pepper to bread mixture; stir well. Spoon dressing into prepared dish. Bake at 350 degrees F for 1 hour or until lightly browned. Makes 8 servings.